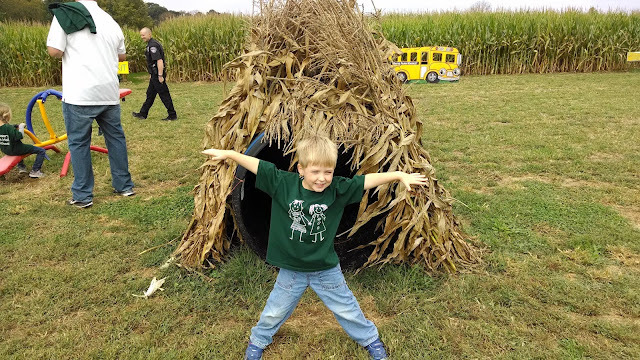 A couple weeks ago I was able to go with Ewan on his first field trip of the year to a local pumpkin patch. Pumpkin picking is one of my favorite fall activities and I was so excited to be able to go with him. He had a blast! Every year we have gone to this particular farm, I always take a photo of him coming out of the corn tunnel and this year was no exception. I cannot believe how big he has gotten!